I just noticed the rules for the PCR division. Interesting. You can use a 5.7x28 AR which has 50 rd mags available and the FN 57 pistol which has 30 rd mags available. Doesn't Saiga make a version of their shotgun in 20ga? I've seen the 20 gauge and the .410 versions. 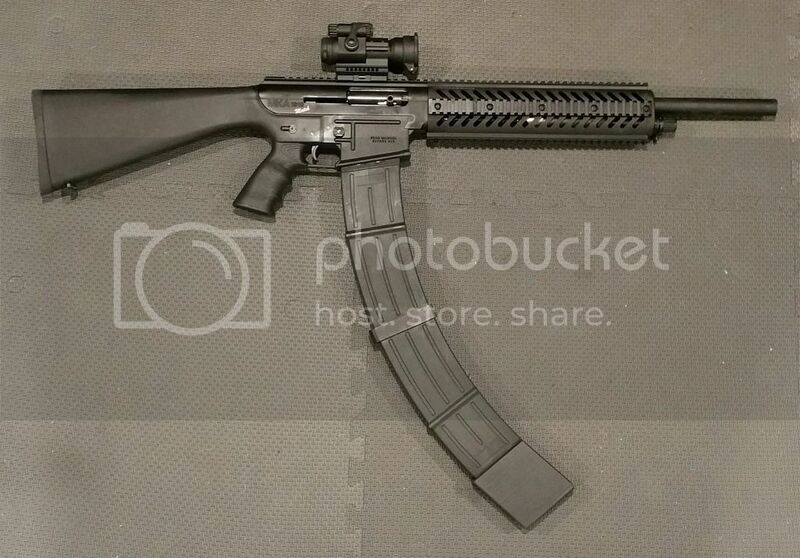 ETA Someone has a 20 gauge Saiga for sale in the classifieds here. Not me. I thought mag fed shotguns were limited to 10 round mags in open division? My two local monthly 3G matches follow FNH and IMG rules, respectively. No mag limits for shotguns (although pistols are still limited to 170mm.) They are local matches, so no one gets too upset if the equipment rules aren't *strictly* followed. For instance, IMG rules limits HM rifle mags to 20 rounds, but if you run 25 rounders, no one cries "foul". Last edited by BenL; August 20th, 2015 at 11:11 AM. 3GN has switched the name from Open to Unlimited and now this is no restriction on mag length for any firearm legal in that division. I agree most club matches tend to look the otherway if you show up with an incorrectly equipped firearm, except for full auto. Sir R.M.Hyslop (attributed to Edmund Burke). Those willing to give up freedom for security deserve neither. Thing is can you get the same mods for the 20ga as the 12ga. I am only thinking like I could put together a much lighter set of firearms for a 3-gun match that allowed this division. You could just get the 410 upper. Pretty nifty. Now that's a squirrel/rabbit hunting machine! OK, this is a bit unwieldy. For some reason I don't see you shooting that prone Two of those will clear almost any stage that I've seen. You could almost shoot it standing with that mag if ur short.